Those who tend to live out an active lifestyle would definitely be able to make do with some music to assist them along the way. That is why gyms have been fitted with modern day audio systems, blasting out music to keep the clients all pumped up in order to push themselves to improve more and more. With Zipbuds, the company knows that an active lifestyle can only mean one thing — having an equally capable piece of hardware to keep up with your frenetic and frantic pace. Their latest release, the 26 is a Bluetooth-enabled, sweat and waterproof pair of sport earbuds. Specially created in order to solve the common frustrations in sport headphones, the 26 has been designed to enhance the user experience. It claims to offer the perfect balance of sound quality, performance, style and durability, and all of it is made possible thanks to a built-in subwoofer, in addition to sporting 144 unique fit combinations as well as industry-leading battery life. Zipbuds were careful during the development of the 26 by conducting a rigorous assessment that will help identify pain points in earbud options that are on the market at the moment. Some of the most common complaints included comfort and fit, durability, sound quality, battery life and style, and these are what Zipbuds would like to eliminate with the 26. With the 26, users are able to push harder and go farther, hence letting athletes do what they are supposed to do — focus on the long run or extensive sweat session, as opposed to wondering whether their music playback device is able to keep up. The precision-tuned, Hybrid Driver System isolates high and mid-range frequencies, while its integrated subwoofer balances the lows. 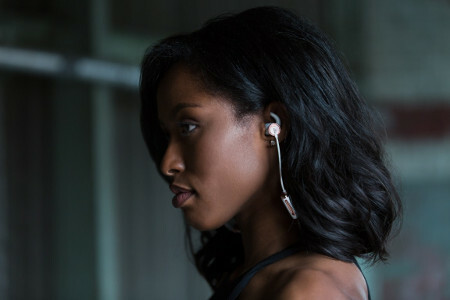 You get a concert-style, audiophile-grade sound without the bulk, and it is perfect for the gym, train commute, or any other activity that relies on music and uninterrupted connectivity. With a 15-hour active battery life with 400 hours on standby, it comes with QuickCharge technology to boot to provide one hour of playtime with just five minutes of charging. Getting one of these will cost you $199 a pop.